Buying property continues to be one of the most popular options for investment. Turning this dream of owning real estate into reality however, is a process that requires good thinking and careful planning mainly because of the large amount of money involved. While the Australian real estate market was quite aggressive in 2015, a cool off is expected for 2016. While the potential for consistent pricing would provide a great opportunity to invest in property, one should still never rush into a deal. Here are a few tips to keep in mind before you invest your money. 2. Decide on location and property type – Deciding on your desired property location beforehand helps you and your real estate agent narrow down the search to a limited area. It also helps you to do a focused research on the feasibility of buying property in that area. As a tip, it is always advisable to go for areas that you are familiar with, but that shouldn’t stop you from looking at other states. Also, decide on the type of property you wish to buy. Empty land is a sound investment but will not generate any rental income. So, if you are looking for an investment that will also bring you a monthly income, you can consider buying an apartment or a house. 3. Do your research well – Property investment should always be backed by good research. Read articles and do research to familiarise yourself with property values in the area and their scope of growth in the future. You can consider talking to the neighbours, hire a buyer’s agent or an independent property evaluator to estimate the price of the property on the basis of its location, age and health. You can also seek reports from organisations like Residex and Australian Property Monitor for current property prices in the area. Look for areas that are expected to appreciate well in the future and look for clues about the property’s desirability by asking about vacancy rates in the area. A high vacancy rate indicates an undesirable area, which might make it difficult to rent out the property. 4. Explore options to buy – Once you have zeroed in on a suitable property, your next step will be looking at the options you have to arrange money for making the purchase. You can use equity (difference between the property value and the balance on your mortgage) from an existing property that you own, if you can afford to do so. You can also consider pooling your resources with family and friends to make a joint purchase if you don’t have enough savings on your own. Regardless of the option you take, it is always wise to seek help from a financial broker to decide on the type of mortgage (fixed interest, variable interest, Interest only) that best suits your finances and brings you maximum tax benefit. 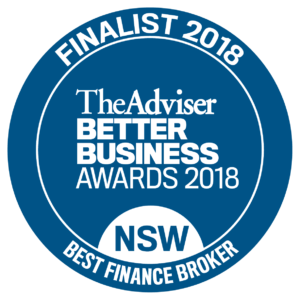 Consulting a financial broker such as Clever Finance Solutions (CFS) would certainly help you succeed in getting the right financing arrangement for your investment in property. Compared to other forms of investment like stocks and managed funds, property investment is relatively stable, with promises of appreciation over time while allowing you to earn monthly rental income. The plunge to investing in a property, however, does require buyers to be savvy in their decisions and take help from the right professionals (buyer’s agent, property evaluators, property information sites, financial brokers, accountants etc.) at every step in order for making a sensible and profitable purchase that they will not regret.